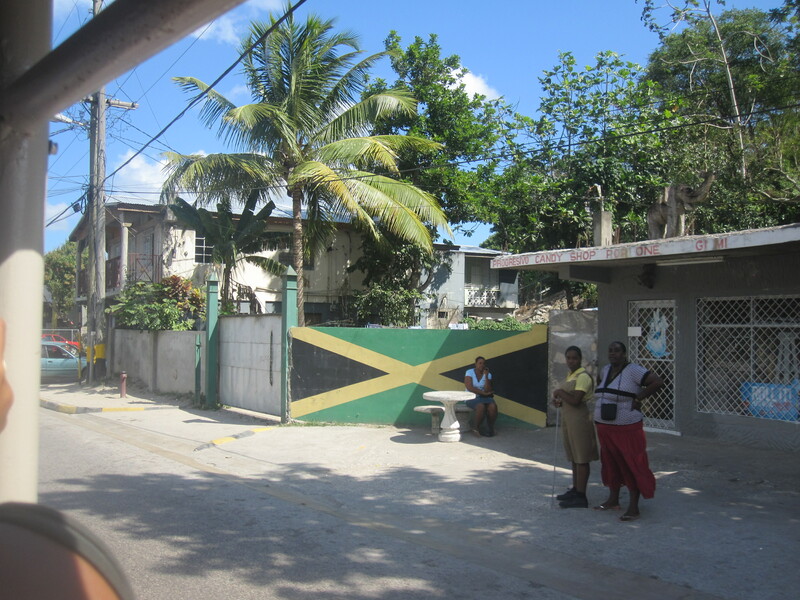 In the words of Damian Marley, welcome to Jamrock! And what a warm welcome it was! When I first booked the cruise and told people our ports of call I kept hearing the same things over and over again about Jamaica. It’s not safe, don’t go anywhere unless you are in a group, try to do an organised excursion and so on. Obviously working within cruise travel I was already aware of issues in previous years that involved cruise passengers and I knew my friend and I would have to be extra vigilant. We decided to book a trip, that way we still got to enjoy Jamaica but we knew we were safe. The excursion was the 4×4 jeep safari and looking back I really think we made the perfect choice. Our guide was called Richard and what a funny soul he was; he was full of jokes and witty comments. He introduced himself to each of us and learned our names pretty quick too! There were a good few people on this excursion but only 8 to a jeep so it was a nice chance to meet other passengers that up to now we had never seen before on the ship. 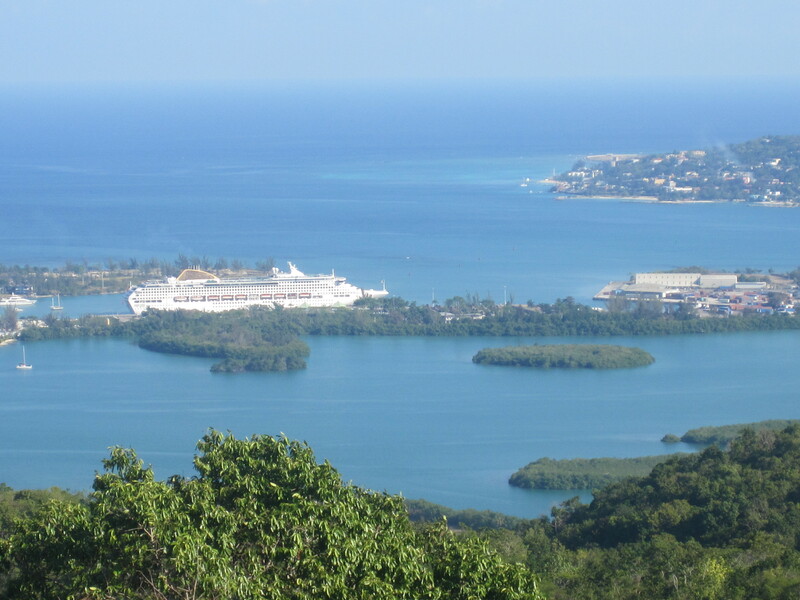 Once we left the main port area we hit the open road and made our way to the top of a hill where the view across Montego Bay was stunning, you could see for miles! One of the other guides took over at this point and gave us some information on what we were looking at along with some Marijuana jokes that we knew would creep in there at some point, it was Jamaica after all, it would be strange if the word weed was never mentioned. From here we made our way back down the hill where by now Richard had convinced one of the men in our group to tell the lady on the gate she looked “Trash and Ready”. He assured him it was a big compliment in Jamaica to a woman from a man so the guy was a great sport and said it. Although he was previously warned by his wife that if the woman hit him she would not save him. The lady on the gate to our surprise didn’t hit him it and instead thanked him for the compliment, from this point on Richard had our trust and we had to answer him with “Yeh Mon”. Next we found ourselves in the grounds of a school where just behind it sat a nice little church. Again we stopped, had a walk inside the church and it was also a chance to grab more rum punch. Yes Ladies and Gentleman this excursion also comes with an UNLIMITED amount of rum punch or water which is at no extra cost. I wore my halo this day, it was so hot I just stayed with the water or Wata as it said on the bottle. Our next adventure really was just that, it was time to go off-road. The trip was not recommended for people with back problems and it was now that I could see why. Our driver at a few points really did go for it and put his foot down, it was a lot of fun when we were racing the other jeeps and getting a face full of dirt at the same time. At one point the cooler in the rack above the drivers cab decided to overturn so my friend was drenched. We passed hundreds of orange trees then the driver stopped to pick some for us and Mr Harvey, our security guard. The smell was delicious! I have never smelled oranges like it in all of my 28 years, if I could have bottled it I would have. You didn’t even have to peel one to be overcome with the sweetness from it. Finally we reached our main destination and it felt like it was deep within a jungle type environment. All I can tell you is that it was stunning. 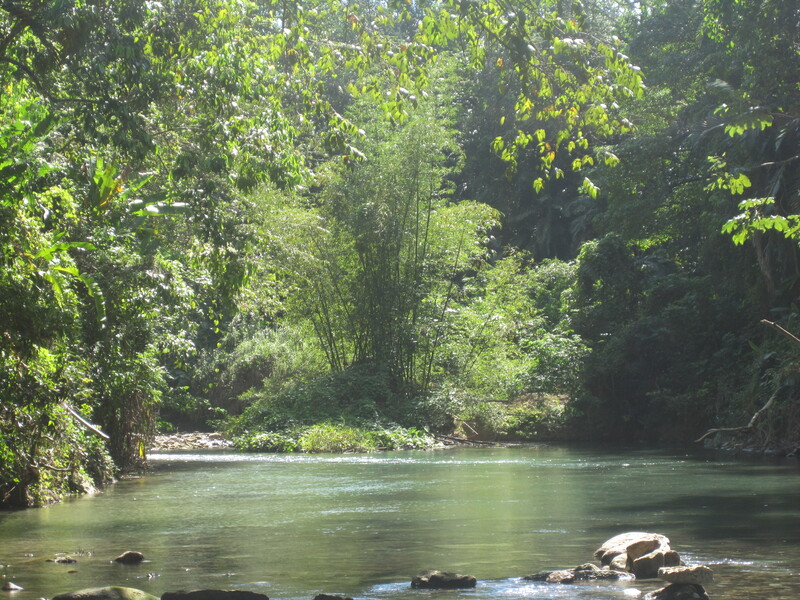 We left the jeeps and took a short walk down to where we found the most gorgeous and clearest of rivers, passing coffee trees and cocoa trees as we descended. Here we would have some time to just enjoy the peace and tranquillity, we could also bathe in the river if we wished and it’s said that the water makes you younger. It was very peaceful, and in all a very beautiful place. I could have happily stayed here on my own for the rest of the day just thinking my thoughts and enjoying the sounds. It was one of those places that just instantly made you feel like you didn’t have a care in the world. We stayed here for quite some time but made our way further through the trees where we found waterfalls, huge bamboo trees and a few other things we were told not to touch unless we wanted to experience pain, including fire ants. From here we would make our way to the Chukka base where there would be the option for food and a few souvenirs, or to just relax and drink more rum punch before making our way back to the ship. Anyone due to visit Jamaica should look into everything that Chukka offer. 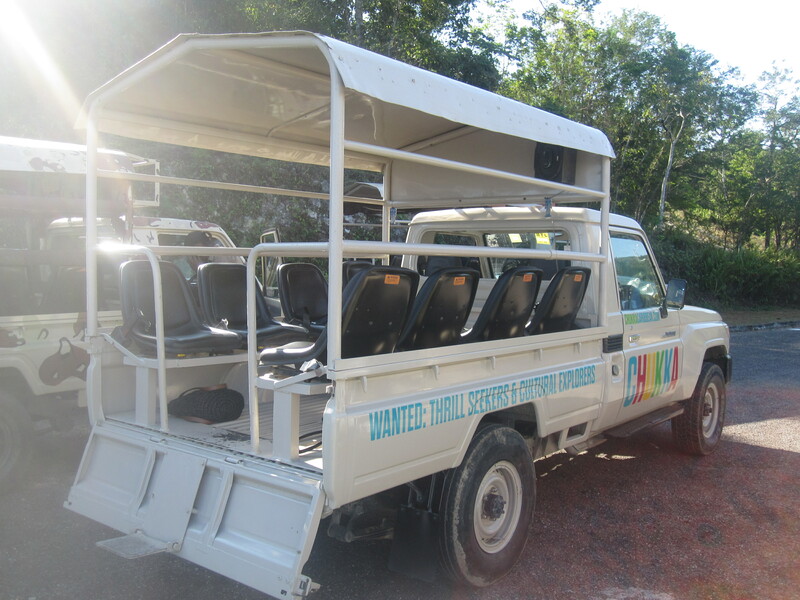 It was a fantastic tour where aside from the leisurely type day we had you can also do river tubing, zip-lining, ATV safari, Dunns River 4×4 and much more. They offer trips from Montego Bay, Ocho Rios and Falmouth as well as 2 other Caribbean islands. One thing I liked most about this excursion is that because it went to many different places you really got the chance to see some of Jamaica rather than being plonked on a beach all day or not getting further than the port. We passed schools, a police station and court house, people going about their daily business and I never once felt uncomfortable. I can’t speak for anyone else or comment on other parts of the island but to me Montego Bay was OK. 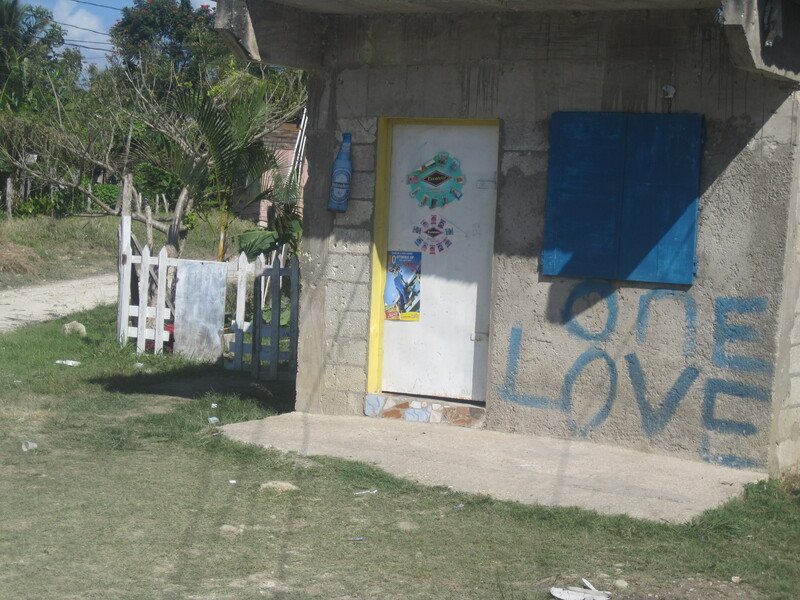 I long for the day I return to Jamaica and get the chance to visit other parts of the island, at some point I have to see the home of Bob Marley! You make this sound so fun! Although I’m not sure how you didn’t at least *try* the rum punch… It was Jamaica, mon! Thanks for making it CHUKKA when you came to Jamaica. It was great having you with us. We will pass on your kind words to Richard and Mr. Harvey. We hope to see again soon.